A tactical shooter game like CS GO comes loaded with action-packed rounds. Whether you are with the terrorists or counter-terrorist team, playing Counter-Strike: Global Offensive seems a dud without a good CS GO headset. It is one of the most important gaming peripherals whether you are an average or professional CS GO player. My ultimate recommendations are based on 4 key factors: price, comfort, durability, and sound. A cheaper unit with great value for money or a slightly more expensive product with lots of features to justify its price tag. 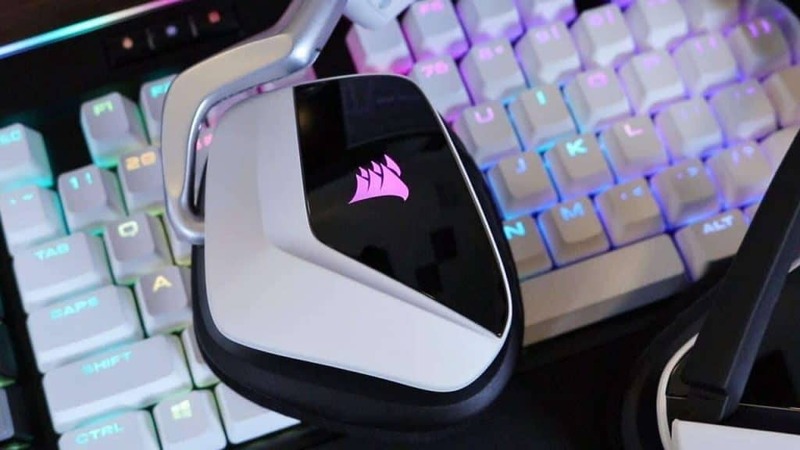 The best CSGO gaming headset should also be light and comfortable. It should be durable enough to last many sessions with satisfactory sound quality. You need to hear every step of your opponent as crystal as possible. All these essentials contribute to a superb gaming experience overall. There is a myriad of options in the market which can be overwhelming. I’ve narrowed them down for your consideration. By road-testing the following CS GO headsets, I am giving you the inside scoop on each of them. Arguably the best CS GO headset there is, the SteelSeries Arctic Pro Wireless, it will not disappoint. Its sleek aesthetic is backed by a formidable list of top-notch characteristics and impressive performance. Cable-free, the Arctic Pro wireless surprisingly has a few tricks up its sleeve. If you ask me, I can live with compromises, especially when you’re talking wireless and Bluetooth. So when you up the ante, it’s game over. Let’s start with the expected. It dominates the comfort department since it is one of the lightest headsets you can find. You can thank its minimalist frame for this feature. When you don’t have all sorts of unnecessary extras, including wire connections, your headset will put less pressure on your entire head. It just lets you focus on your task at hand. The large plush ear cups hug your ears naturally so they don’t have to press on them. Wired or wireless? There is no definite winner in this connectivity battle, with each having its own strong points and setbacks. But I’ll tell you this. What’s great about the Arctic Pro wireless is its attempt to get the best of both worlds. Aside from wireless freedom, it offers ultra-low latency, longer range, decent battery life, and elimination of interference. Just going by the build of this gaming headset, it sure looks like it will not fall apart easily. The ski goggle-style headband is very sturdy due to its top piece metal construction. I have dropped it a number of times since I got it. Guess what, it still works perfectly! The magnetic ear cup panels are a refreshing change. They make for easier battery swapping so you don’t have to remove the headset anymore. Sound quality is essential in first-person shooters such as CS GO. You need a unit that has good mid and high-frequency sounds. A punch bass could be a bonus, but not required. The loud and crisp audio recording of the Arctic Pro is ideal, particularly during communication with your teammates. The figure of eight microphone is unbelievably good. It allowed me to record clearly even with loud music blasting away from an external speaker. The narrow pick up angle allows it to isolate my voice and filter out the noise in the background. This headset may have less of the kind of bass some players prefer. I’m ok with it though. I think it makes games’ sound effects produce a cleaner and more precise sound. It produces that full-on immersion, with all those onscreen explosions going off. While there is still that slight hum even if it’s not turned on, the noise cancelation/ isolation capability makes up for it. As for the price, this device can cost a chunk of change at 300 dollars plus. Still, when you have all these incredible features in one nifty package, its price tag should come as no shock. 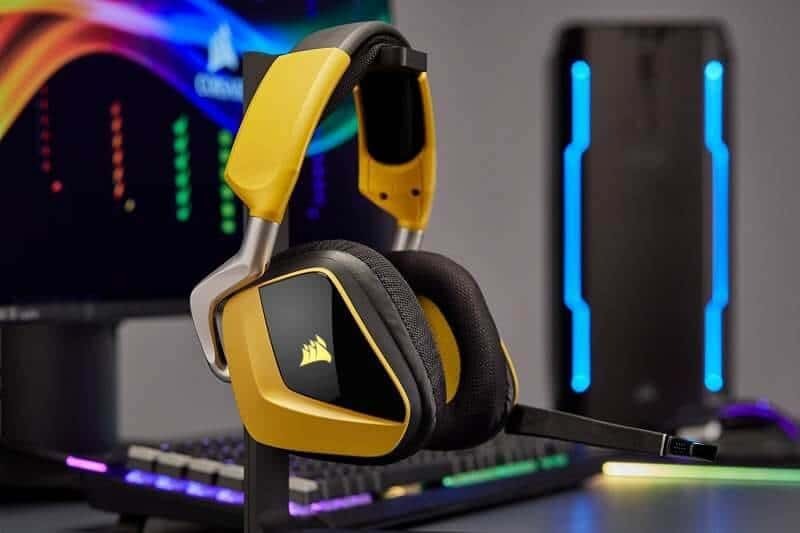 While you can get about 80 percent of this product’s features at half the price from competing models, this is the best headset for CSGO that wireless fanatics will just love no matter what. 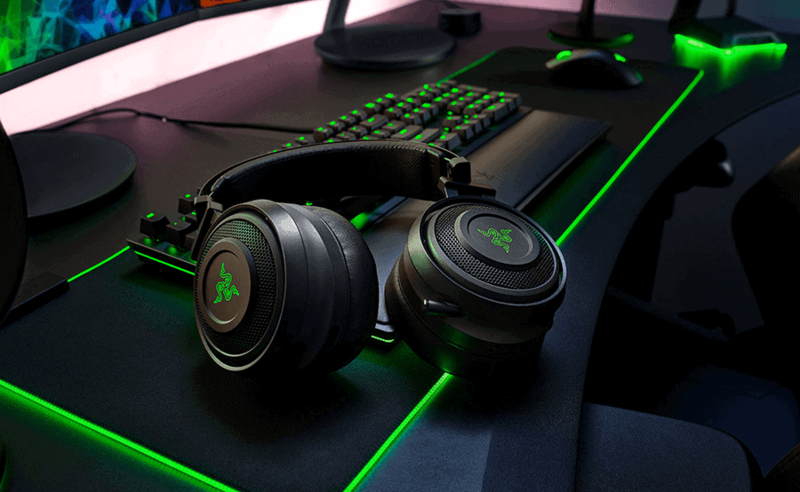 Getting the Razer Nari Ultimate is like having subwoofers planted directly on your eardrums. And it’s because of this “guy” named haptics. In the world of CS GO, you would want to hear the smallest details which can lead to that invaluable feedback. You know, details like sensing an enemy that’s about to shoot you. Or deterring a ninja move because of your heightened audio sensing capabilities. This product’s Hypersense technology allows gamers to pick up vibrotactile frequencies. As such, you get realistic sounds from the Razer Nari Ultimate. When you get legged, you will also feel a slight kick in your face that is near to it. The ear cups are large enough and generously padded, making them comfy to wear. The floating headband style can be good, but, it tends to slip from my head at times. No biggie in my opinion. You know how leatherette skins can make you even more sweaty when you’re all pumped up in the middle your game. You no longer have to worry about that problem if you get this headset. Your ears are treated to cooling gel which produces the kind of ear comfort you typically get from your pillow. This model’s cooling gel feature definitely raises the cool factor of this headset quite literally. The high grade plastic build of the Razer Nari Ultimate is quite sturdy and doesn’t look cheap. However, the part where the ear cups are attached looks somewhat flimsy. Meanwhile, the 200-dollar price tag can seem hefty until you get blown away by the deafening rumble of this haptic headset. 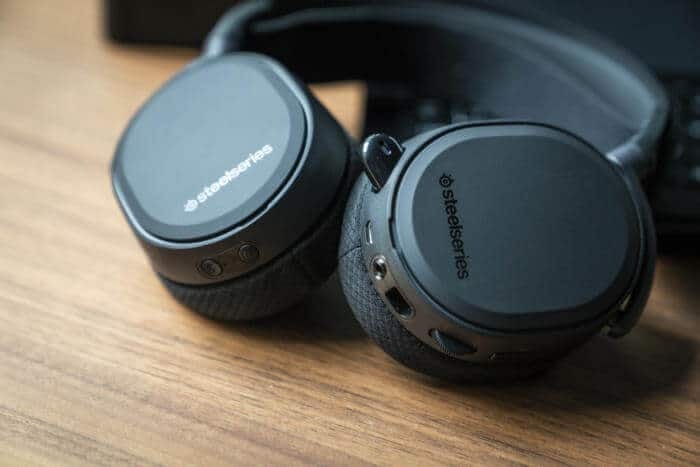 The Steelseries Arctis Pro + GameDAC succeeds the Arctis 7 and is definitely on the same level. The DAC upgrade allows you more connections and tweaks. Since it is a wired unit it has low latency which is preferred for gaming. The headset is pretty comfortable with its spacious and sufficient padding. When I tried it on, it can feel a bit tight. That’s probably because I have quite a big head. So, if you’re like me, you might find this an issue. I would say this item is durable with its dense ear cups and metal design. The retractable mic is flexible enough and retracts neatly. This makes it useful even when you just want to use it as a regular headphone. If your head is not as big as mine, this unit stays on. But you will feel it bulk once you do more physically engaging activities. For an over-ear gaming headset, the Arctis Pro + GameDAC has that deep bass, balanced mids, and audible treble that make its 249-dollar well worth it. Please note that these features may be inconsistent depending on the frequency of your usage. And don’t expect much on noise isolation. You can just crank up the volume to mask a loud environment. 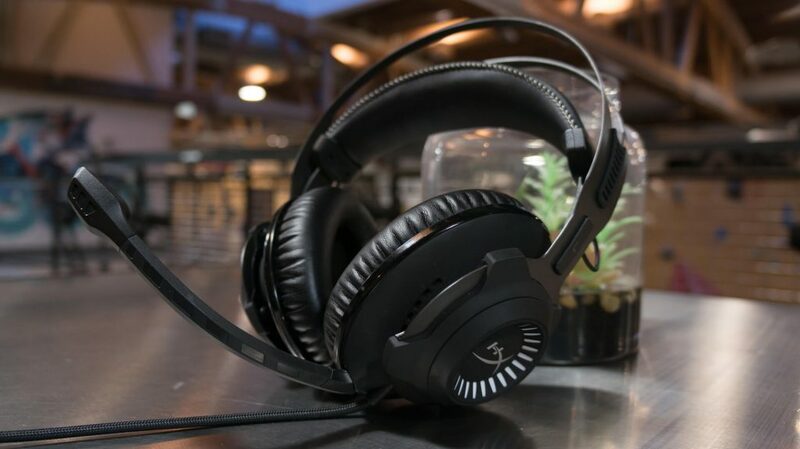 The HyperX Cloud Revolver S is a CS GO gaming headset that ironically doesn’t scream “gaming headset” with its subtle HX logo and monochromatic design. The robust steel frame is impressive. Its leatherette ear cups are padded with lush memory foam. This provides optimal comfort to the user who is busy defending hostages. You can go on hours on end without being distracted by it. Its Dolby DSP does have some noise, but the interference can be masked easily. When you turn it up for music, you really get that surround sound feel. 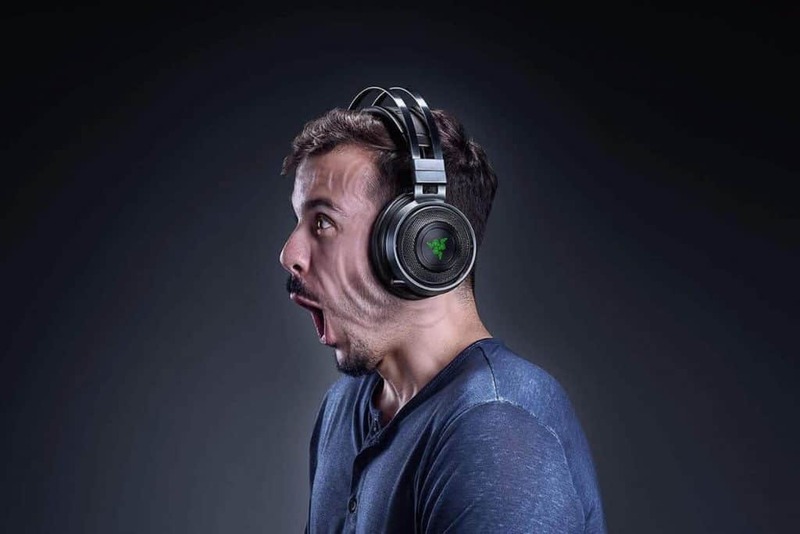 The studio quality will hardly let you get caught with your guard down when used as a CSGO headset. You can distinguish where the sounds are coming from. Because it is a well-built headset, the HyperX Cloud Revolver S’ $125 price is quite reasonable. 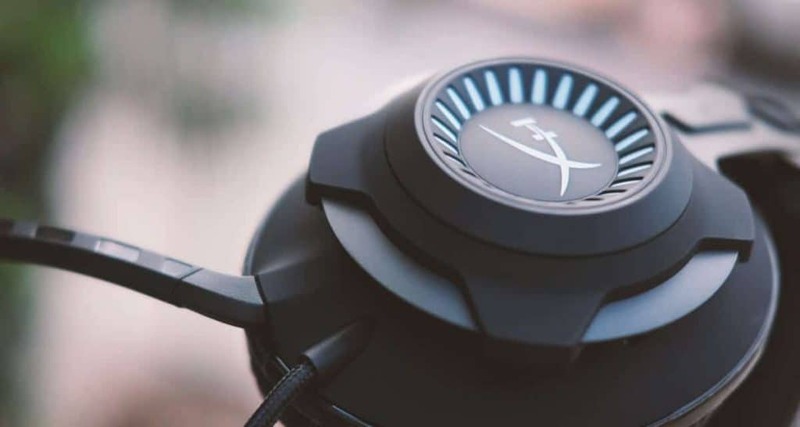 Looking like somewhat from the future, the Corsair Void Pro‘s sound quality rivals that of higher-end headsets. This is because of its incorporated 7.1 surround sound. It even has a bass boost. You can turn down the volume on the left so your mic can produce clearer audio. This also helps diminish noise in the background. This model’s ear cups sit on my ears comfortably despite long gaming sessions. The padded spine adds to the comfort factor, lightly resting on the head. I like that it also alerts me if the mic is on or off. You can enable this feature via its software (Corsair Utility Engine). Please note that the mic can be a bit annoying because it doesn’t bend easily when you need to communicate. Also, this model’s battery life leaves much to be desired. The Corsair Void Pro has that rugged and sturdy design that doesn’t seem to break that easy. Overall, this could very well be the best CSGO headset under 90 dollars. Durable, comfortable, decent sound, fairly cheap, and it is wireless to boot. 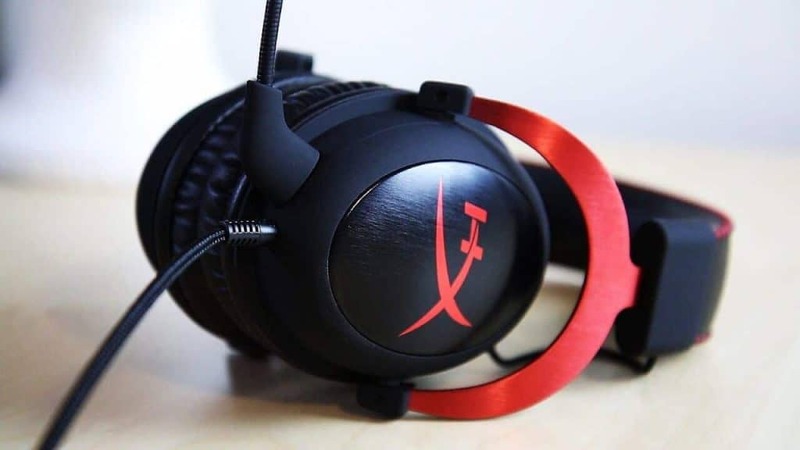 A heavy favorite among top CS GO players, the Kingston HyperX Cloud II is a gamer’s must-have. The digitally enhanced mic is excellent for strategizing with your teammates. 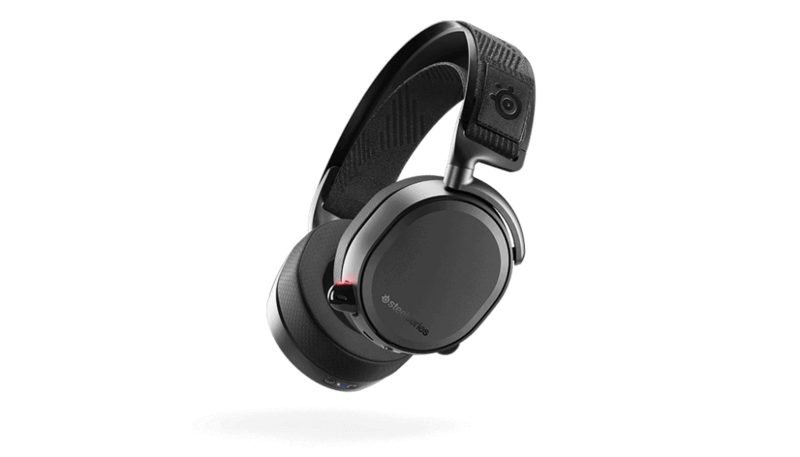 You can perform at your best because you heare everything in-game thanks to this model’s powerful stereo sound. And if you want some booming bass, you’ve come to the right product. The solid aluminum and rubberized components of the HyperX Cloud II are well-designed. It has durable and flexible characteristics. 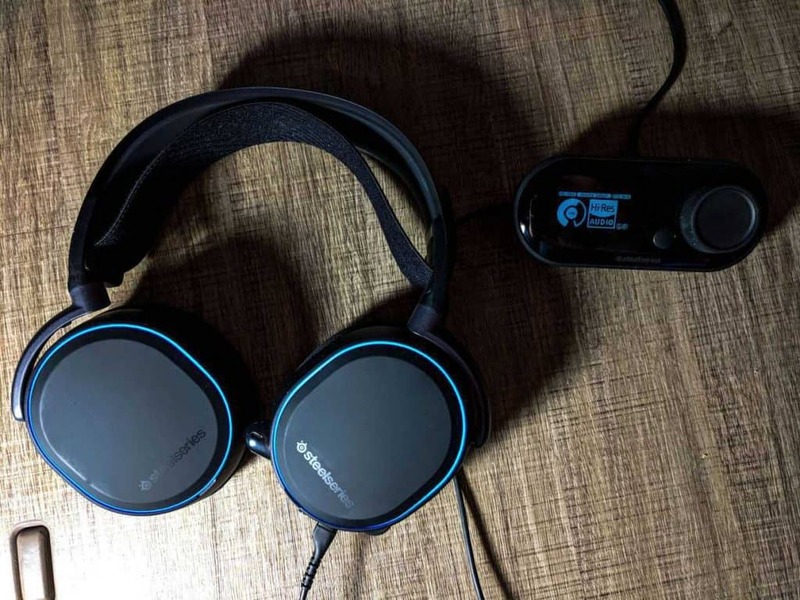 Even without wireless capability and in line controls, it focuses on the most important qualities of a top notch gaming headset. It made sure that what it offers is of the highest quality. The headset is also comfy with the memory foam cushioning all over. Furthermore, you get extras like the carrying case and adaptor which were unexpected, but highly appreciated. Overall, I will consider this the top wired choice for a CSGO headset under 100 dollars. Great for serious gamers who value solid construction and good sound quality. 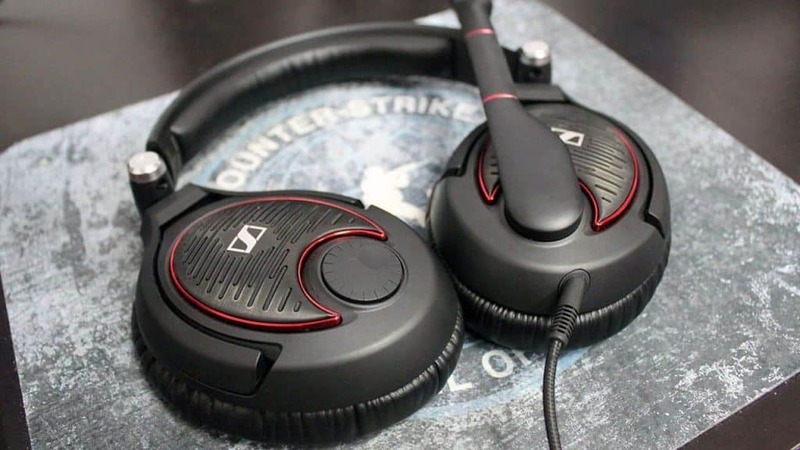 The Sennheiser Game Zero is a good CS GO headset as far as the audio, visual, and touch senses are concerned. I said good yes, but not great. It’s far from being perfect, but there are still several things you will like about it. Chief among these is its portability because this headset is foldable. This model’s simplicity is also a big plus. This headset s one of the most comfy units I’ve tried. Its peripherals are lightweight. I almost forgot to take them off after a marathon game because they are practically weightless. You only realize they’re there because of the wires. As for its sound, I could hear my teammates as well as the moves of my enemies with sufficient clarity. And it works great in alerting you with the sound of strides that are crucial in CS GO. Its structure with the braided cable prevents tangling and breaking easily. That said, it’s made to last. 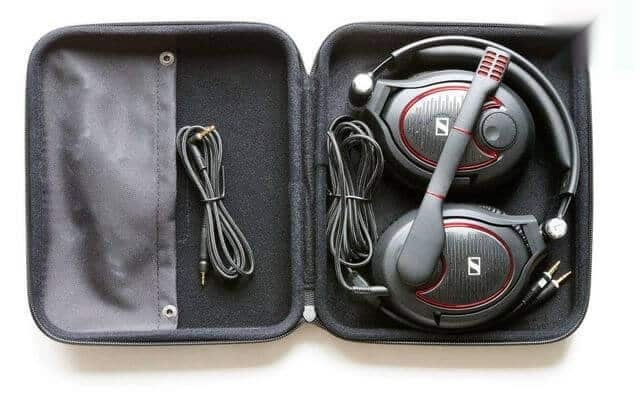 The Sennheiser Game Zero is slightly expensive, but still deserves a spot among your arsenal. Next articleHow To Store Your Cryptocurrency Today! I am one of the biggest tech lovers out there, I love getting hands-on with all the latest gadgets so I can write true and honest reviews. I have many years of experience when it comes to tech so you can be sure to trust my reviews.